PCI and SELKIRK want to offer our members incredible deals and discounts! Complete the knowledge test and once you get a perfect score (show us you’re paying attention, wink wink) fill out the form below to access these amazing deals! Terms: Shipping is $10 USD within the USA, $25 USD in Canada. (Offer valid when PCI membership terms are met). After completing the form below, you will be contacted to finalize your purchase. 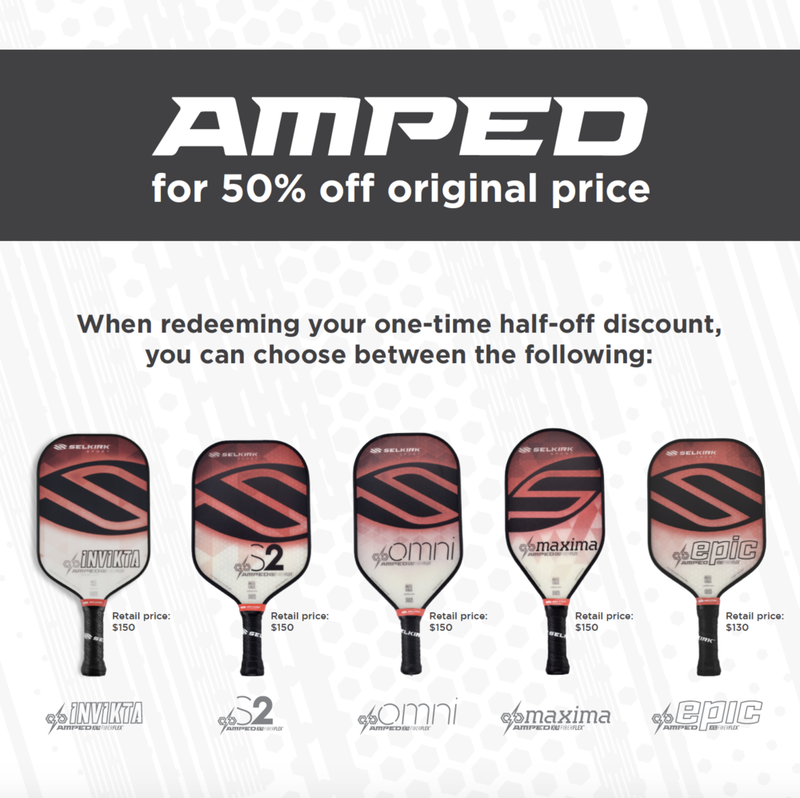 1 Selkirk AMPED Paddle 50% Off! Paddle is for personal use and is not for resale. 4 Neo Paddles for just $49USD! Start your coaching equipment collection with ease! Get 4 NEO paddles for use with your current and future pickleball students. I certify that I have completed and passed the PCI knowledge test which is a requirement for accessing these rewards.